Amalgam Toxicity: Are You Breathing Silver Fillings? Amalgam toxicity refers to the degree in which dental amalgam (silver fillings) is known to be hazardous to human health. It is estimated that silver fillings are common among nearly 180 million people, many of whom have no idea just how dangerous dental amalgam is to the health of the body. The World Health Organization confirmed in 1991 that dental amalgam was the #1 source of mercury pollution in non-industrialized settings, and countless other studies have illustrated how dental amalgam may leak mercury vapor into the mouth, airway, brain, and other vital organ systems. Exposure to amalgam toxicity is a serious health issue. Take a moment to learn more about dental amalgam, toxicity, and removal/replacement options. Then, contact Assure A Smile to learn more about safe amalgam removal in Miami. Dental amalgam is a metallic mixture that used to be the standard for dental restorations. Prior to the advent of white composites, this “silver filling” was the only dental restorative material available to patients. Today, white composites represent a bio-compatible alternative. Why is Dental Amalgam Toxic? Mercury is the most toxic non-radioactive element known to man. Dental amalgam is toxic because it is prepared with liquid mercury. Overall, it is estimated that dental amalgam consists of about 50-60% liquid mercury. Mercury is a known neurotoxin that can be fatal. Other side effects of mercury toxicity include brain damage, impaired motor function/speech/eyesight, heart attack, increased risk of stroke, kidney damage, and kidney failure. Do not let silver fillings expose your body to amalgam toxicity. 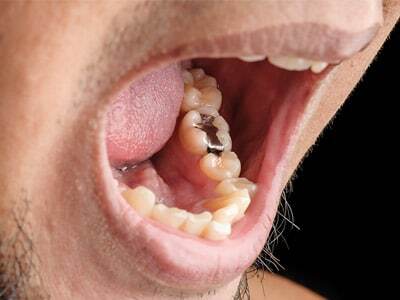 Contact Assure A Smile to have silver dental amalgam removed immediately. Dental amalgam is known to be the #1 contributor to environmental mercury pollution, and it is dangerous to have inside your mouth. Learn more about our approach to safe mercury filling removal. Then, contact Assure A Smile online or call our front desk directly at 305-274-0047 to learn more about replacing silver dental amalgam with bio-compatible composites.